Enjoy the original Waldviertel specialities, such as delicious little dumplings filled with plum jam or Perzy’s famous oven-fresh roast pork with potato dumplings, all of this served in unique ambience. No matter if you sit in the original farmhouse kitchen, today’s small room, or in wonderful garden with the view of Rottal - it is always comfortable at Perzy’s. 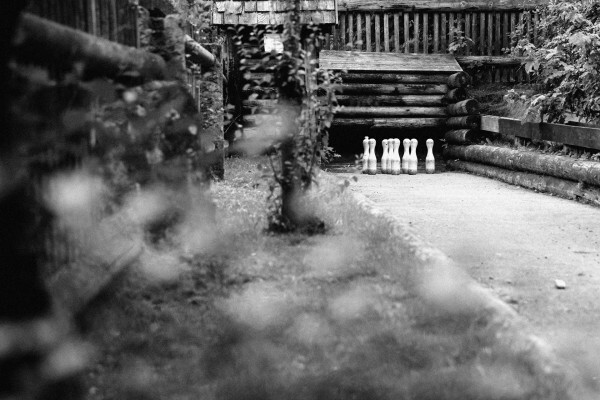 In case you are interested in activity, there’s a skittle alley situated in the yard surrounded by nature. Wenzel and Magdalena Neubauer purchased the manor Litschau and gained also the small house Rottal no. 22. The name Neubauer became the house name. Franziska, the daughter of couple Neubauer, married Lorenz Poind who was a smallholder and workman. They took over the house. One year later, their son Bartholomäus was born. After some years, he and his wife Franziska appeared as owners in a list. His profession as master stonemason, which was a professional group known for high beer and spirit consumption, was very advantageous for his activity in the inn with the taproom. Beer was delivered from Třeboň (Wittingau) and spirits from Bystřice (Bistritz). Spirits were particulary clear or mixed to have slightly bitter taste. Today’s appearance of the house is attributed to the Poindl family. The master builder came from Číměř (Schamers) located in Bohemia.  Thomas and Theresia Perzy, b. Kainz, purchased the property Rottal 22. They devoted themselves not only to the restaurant, but also to the grocery store situated in the back of the house. In the garden, there’s a skittle alley offering much fun to numerous guests. Josef Perzy, later innkeeper, was born. 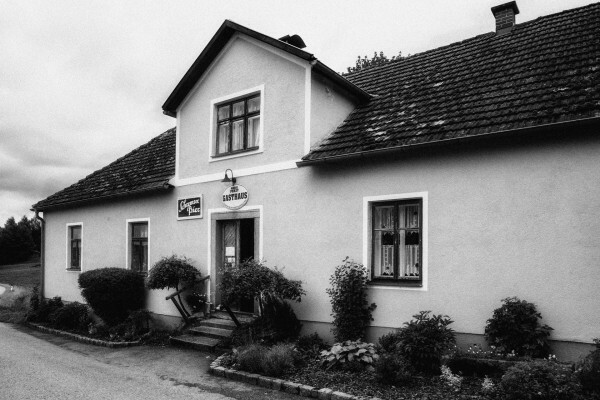 Josef Perzy and his bride Marie Jelinek took over the inn often visited by numerous people in the period between the world wars. To their guests belonged local people, wagoners, carters, gamekeepers, woodcutters as well as people from Prague, who spent their holidays at Staňkovský rybník (pool). About in the mid-30s, Josef Perzy made some changes to the house. A part of the loft was converted and a modern cold room was set up. Above this room, a flat was built (so called “Stöckl”). During the night of May 19th, there was a violent brawl at the so called “Cultural Festival”. This event celebrating tree planting take place every year, when the young saplings are planted into manorial woods. Also a few mechanicians visited this event. They had brought light in Rottal two years ago and introduced electric power. 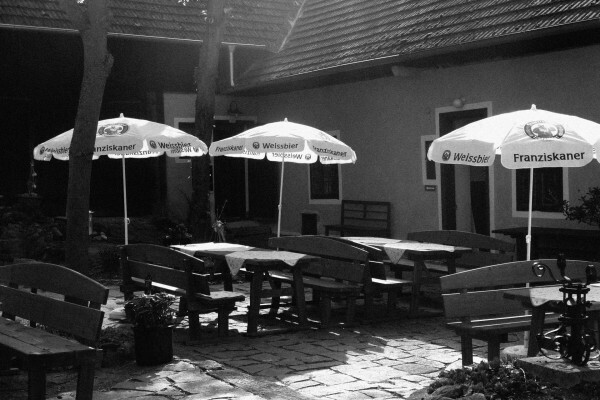 They refused to pay the entrance fee of 3,- Austrian schillings, therefore they were asked to leave the inn. They didn’t want to do it voluntarily. As a result, a wild brawl took place. After some hourst, there were numerous slightly and badly injured. It was not clear who was involved and who was beating. Not even the councillor of Higher Regional Court (OLG) wasn’t able to clarify this event. Nevertheless, some mechanicians had to spend some time in the hospital. Some brawlers were put on probations from 10 weeks to 5 months. In colloquial language, this brawl is called as “Korean Slaughter” or “Little Korea”.